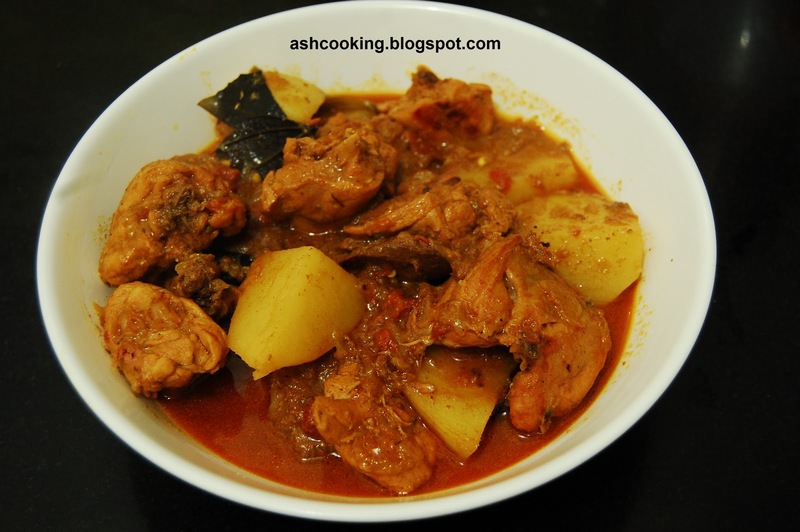 A traditional all-time favourite Bengali style of chicken is with light gravy and potato diced in medium sized cubes. The oil floating on the surface of the gravy exudes an extra richness that coupled with spices endows it with an authentic Bengali flavour. 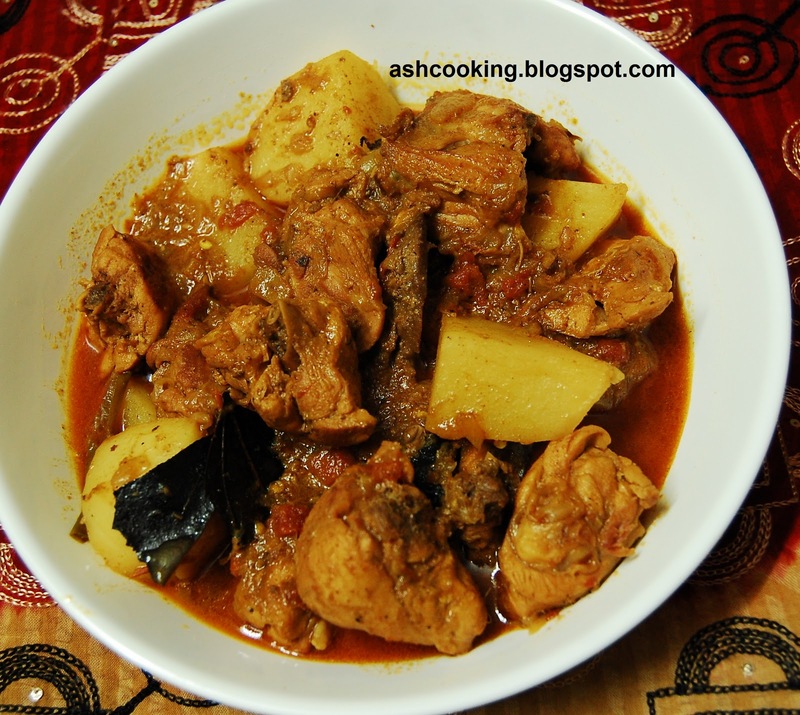 This dish is staple in almost all Bengali households. My mother using very simple regular spices cooks this dish to a delicacy that I am still struggling to obtain. You may opt for white oil in cooking this curry, but the best taste would come if cooked in mustard oil. 1) Marinate the chicken with yogurt, ginger-garlic paste, salt, red chilli powder, cumin powder, coriander powder and turmeric powder with a dash of oil. Keep the marinade aside for an hour. 2) Heat oil in pan. Fry the potato cubes till light golden brown. Take them off the flame and keep aside. 3) Now temper the oil with the ingredients mentioned. Add onion. Fry till onion changes color. Add tomato. Sauté. 4) When tomatoes soften, add chicken pieces. Sear the chicken pieces on medium heat. Put the lid on and cook covered for 10 minutes on low heat. 5) Add the marinade and stir in to mix properly. 7) Again cook covered on low heat till oil floats on the surface and chicken is cooked through completely. Add the potato cubes and simmer for 10 minutes more. Sprinkle garam masala powder on top. Check the seasoning one final time before turning off the heat.